The inaugural 2013 Isle of Man Classic TT Races presented by Bennetts was a first of its kind. The inaugural event had a 1960’s theme of classic motorcycles, celebrating one of the most important bygone eras of the TT’s history. And for the event’s second year, the Isle of Man Government Department of Economic Development confirmed that the Classic TT – part of the two-week Isle of Man Festival of Motorcycling – will pay tribute to the iconic Joey Dunlop. 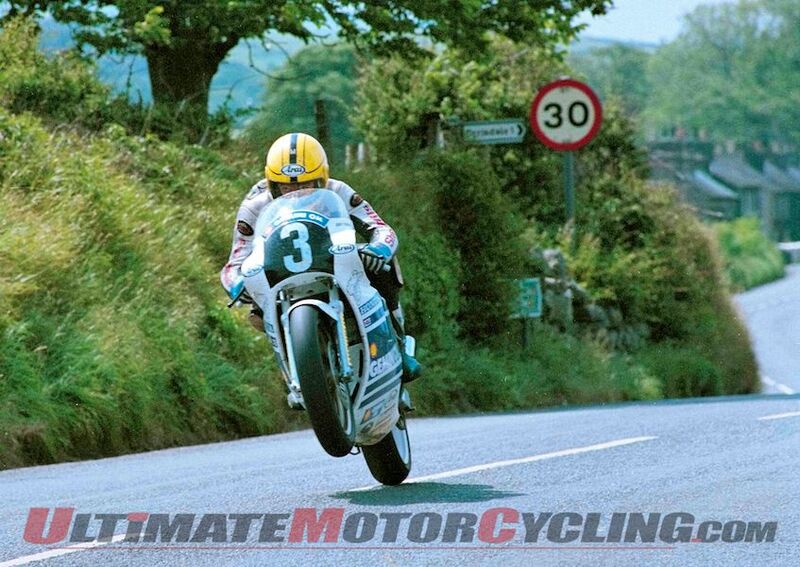 The 2014 Classic TT weekend – titled “Joey Dunlop – Road Racing Legend” – will have an 1980’s theme, celebrating the height of Dunlop’s career. The event will not only reflect on Dunlop’s TT career, but will also pay tribute to his F1 World Championship and his racing in Ireland. Dunlop has 26 Isle of Man TT wins – the most of any rider. The only man near Dunlop is John McGuinness, who has 20 wins. The IOM’s Department of Economic Development is working with Joey Dunlop’s family, and will bring some of his famed racing machines to the event. The free entry exhibition will be situated at the heart of the event in the paddock throughout Classic TT. And in typical TT fashion, there will be a parade lap sponsored by the Isle of Man Steam Packet Company, which will include his rivals piloting vintage machines around the 37.73-mile Mountain Course, including John McGuinness. Besides his TT rivals, there will be competitors there from the 1980s F1 World Championship days as well as his earliest rivals from Irish Road Racing. The 2014 Classic TT weekend features two days of racing (Saturday, Aug. 23, and Monday, Aug. 25). The event will include Formula 1 and Formula 2 machines with a 350cc Race and a 500cc Race. Trevor Hussey, Head of Motorsport, Isle of Man Government Department of Economic Development believes that the Classic TT is changing the perception of Classic Racing. Trevor Hussey says: “There seems to be an unwritten rule that Classic Racing is just pre-1960’s machines but we are looking to change that with the Classic TT. The 1980’s not only gives us a rich motorcycling theme but was also a strong cultural decade and we will look to really expand on that.